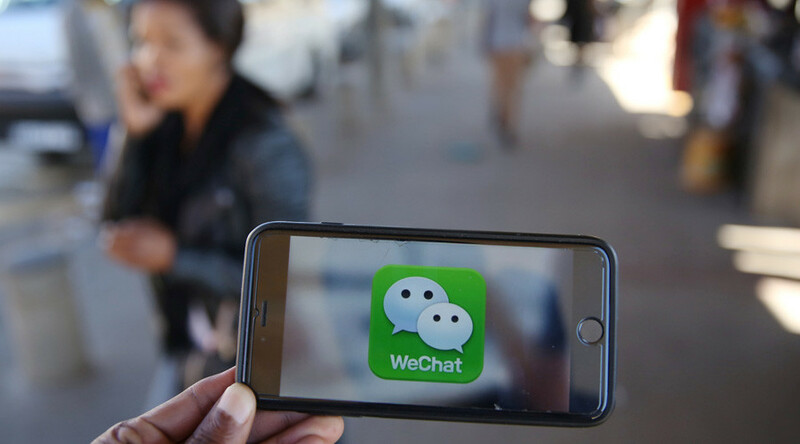 WeChat, the largest mobile social media network in China, aims to take a big slice from US tech giant markets by releasing a feature alternative to the popular app stores run by Apple or Google. The new function is aimed at some 768 million users. By announcing the launch of the “Xiaochengxu” function which translates to “mini programs,” WeChat aims to raise its profile and divert users from the idea of Apple’s App Store, Reuters reports. Billions of dollars are up for grabs from the most common app stores run by Google and Apple, making them a key target for China. Apps are heavily relied upon by internet users across the world, for everything from checking bank statements to grocery shopping. Previously, the services would have to be downloaded through Apple’s app store or other local companies including 360, as for Android apps, Tencent already had its own platform. WeChat already includes Facebook- and Instagram-like functions, and allows users to send free video messages. So far, the response from merchants ranging from airlines, travel agencies and hotels has been “encouraging,” according to the company. Meanwhile, user experience of the feature has reportedly been mixed. A similar in-app downloading platform was launched by Baidu Inc, another giant internet company in China, in 2013. “The quality of the content will decide if the user will adopt it massively and drop their current app store, which I don’t think they will do,” said Alexis Bonhomme, co-founder of CuriosityChina, a marketing agency based in Beijing. Apple is a serious competitor to Chinese companies, with its sales increased by 90 percent in 2016.